We have designed four courses taking in consideration needs of IELTS Students. (Former IELTS Trainer with British Council. These are one to one online classes. This course prepares you for the IELTS exam, but is also very suitable for intermediate students who wish to improve their skills. Highly systematic IELTS training online and a result- oriented approach for IELTS course which is specialized in enhancing students’ band in a short period of time. A systematic online training in which I will assess each student for their individual needs .As a Private IELTS trainer I believe in making my students feel comfortable and creating an environment good for learning by using interesting, challenging and engaging material. I will correct and grade your essays. We will guide you regarding your English errors (pertaining to grammar, vocabulary etc.) and give suggestions for improving the score. We will give you the four sub-scores for your writing task. Get audio feedback on your corrected writing tasks. Prepare yourself and get the results you need. Task Response : Learn how to present a fully developed position with relevant and well supported ideas . Coherence & cohesion : Learn how to sequence ideas and information logically, how to write coherent paragraphs, cohesive devices etc. Grammatical Range and accuracy : Demonstrate your grammatical ability by using a wide range of structures with flexibility and accuracy. This online ielts course from India is an effective way of preparing for your exam is to find an online IELTS training program, to supplement your self-study program. This can be a convenient option for those in remote locations or with time restrictions, and also for those who simply enjoy online learning. Regularly practice of Speaking and writing module. Receive feedback. Develop your vocabulary for getting a good band score in IELTS test. In my classes I help students to practice speaking part of the IELTS. These classes are for students who like to focus speaking module of IELTS ,I practice sample IELTS speaking questions with students. Mostly IELTS classes have 10, 20, 30 or more students in each class, Students in those classes might be well prepared for the reading, writing, and listening sections of the exam, but with only one teacher, 30 students cannot practice the speaking section efficiently. In my program you are only with me to practice speaking module of IELTS. I will give you feedback and focus on your weak areas. 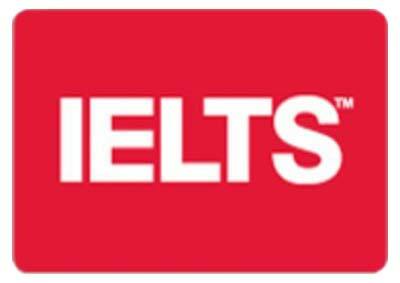 I am now available to help you online to achieve the IELTS results you require. 4. Feedback on any IELTS practice tests you have completed (including writing). The writing module is often the most difficult skill for IELTS candidates. This specialist course will focus on tips and advice in improving your results in this module of the IELTS Exam. IELTS Writing Module Tips online class specifically targeted for IELTS Writing Module self-paced course – learn at your own pace and convenience Gain confidence to think Understand the writing format of the tasks based in IELTS Writing Module Gain confidence in your abilities to think better, analyze better, prepare better, write better.